Bottom Line: a marked improvement upon the already popular Reference bookshelf speakers, which earned a spot on our overall favorites list. We’d say that older version is still the best choice as long as it continues to sell for significantly cheaper. 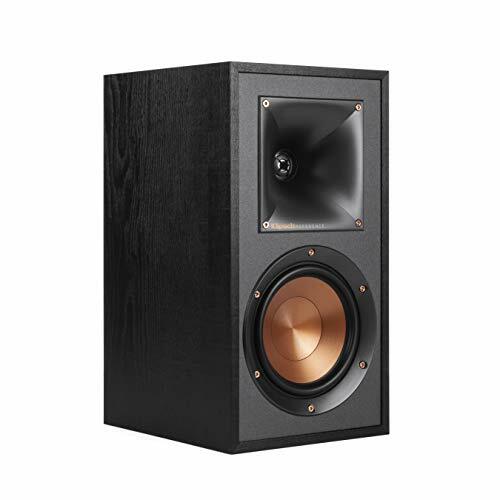 Klipsch’s R-41M and R-51M are the latest iteration of bookshelf speakers in its Reference lineup, which has seen fairly regular product updates over the last several years. These two new speakers are an update to the R-14M and R-15M speakers (reviewed here), which have been popular top sellers for the last few years. These new speakers have the same fundamental design as their predecessors, but with a few notable improvements. The main difference between the R-41M and R-51M is that the latter has a larger woofer and significantly more power handling, though the power specs of the smaller R-41M are certainly respectable. Other than that, these two speakers have the same build and design, hence a joint review herein, same thing we did with the two older versions. When it comes to maximal power and volume for the money, especially so in the non-elite tier of speakers, Klipsch is usually the emphatic winner these days, and these new Reference speakers are no exception: the 5.25 inch R-51M deliver a whopping 85 and 340 watts of continuous and peak power handling respectively, coupled with an also excellent efficiency rating of 93. Translation: these speakers can get very loud and don’t comparatively need a whole lot of power to do so. Pretty much any decent 8 ohm compatible receiver will be more than sufficient, whereas other popular competitors such as Elac are more power hungry and demanding of a higher caliber receiver. While most standalone bookshelf speakers will be insufficient in a full fledged home theater setting and are better suited for near/mid-field listening without ancillary towers or what not, the R-51M certainly would be – Klipsch’s reference bookshelf speakers are by far the loudest and most powerful speakers available for an entry level price. The response floor of both these speakers in the low/mid 60s is decent but not spectacular. That said, this is a normal limitation of 2 way bookshelf speakers, which often end up sounding lousier if they try and extend a single woofer further down to get more bass. 2-way bookshelf speakers are, generally speaking, best when optimized to pair with an external subwoofer. Or you could get a 3 way speaker with built in subwoofers, but that’s a much more common design choice with larger floorstanding speakers. The tweeter is a standard one inch dome that’s been made with an upgraded aluminum blend and is horn loaded, which is a design choice that Klipsch is well known for choosing. The driver material is also a slightly upgraded metallic blend that comes in Klipsch’s signature copper color. Horn loaded tweeters coupled with embedded woofers cause the sound to really travel forward and converge on a single sweet spot, rather than disperse evenly throughout a room. It’s clear that these speakers are optimized for a central listening location such as a desk chair or couch in a home theater setting. If you’re looking for a speaker that provides even keeled ambient listening throughout a large room, we’d say other products are better designed to do that. Beyond that, the cabinet has gotten a nice aesthetic face lift – the panels have been switched to mock-wood MDF, save the front panel which has a grain finish that contrasts nicely with the horn and woofer. All in all we’d say these definitely look better than their predecessors. 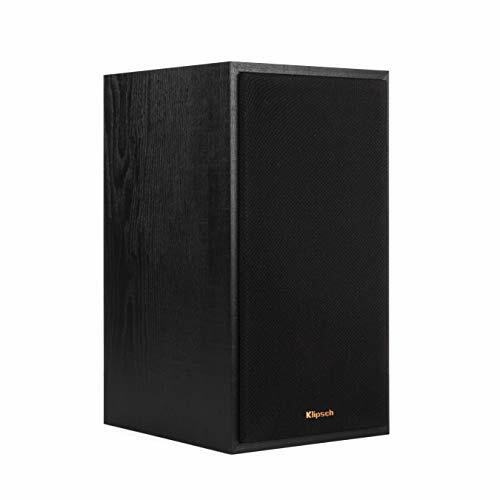 Klipsch’s passive speakers have a 5 year warranty which is top of the line coverage for the entry level price tier. The preceding R-15M has earned a spot on our overall favorite bookshelf speakers list because it power it brings for the value has been unmatched. And while the R-51M is certainly an improvement upon it, the fact remains that the R-15M is selling for significantly cheaper, for now at least. Older generation speakers tend to be the best deal because despite still being just as good, they’ll often get significantly discounted from the MSRP. For that reason, it’s hard to recommend these newer reference speakers as long as the older generation versions are still selling for so much cheaper. But that will most likely change in the not too distant future, and we’d say there’s a good chance that the newer R-51M will eventually land on our overall favorites list, which by the way you can check out in the links below.